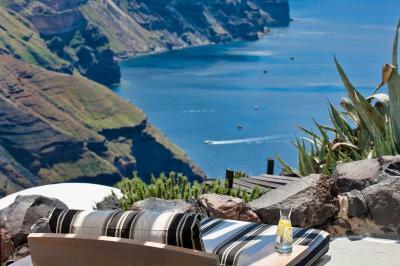 Lock in a great price for Honeymoon Petra Villas – rated 9.1 by recent guests! Amazing stay !! 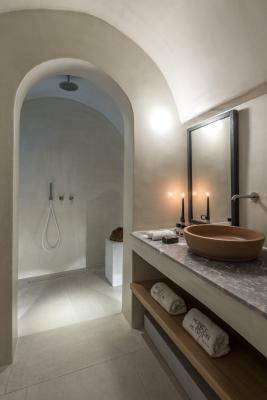 Execeptional service..Unique cavestyle suites .. Food and cocktails are totally recommended !! Can't talk about the views, honestly is impossible to discribe it..
Great view and interior design. Very good service. Everything. Breathtaking views that never get boring. Breakfast is delicious. Staff super helpful and friendly. The location and views are wonderful. The service was excellent. They arranged for a sunset cruise, and provided excellent recommendations for walks and restaurants. They also allowed us to hang out at the pool and shower after checking out. The location was perfect. 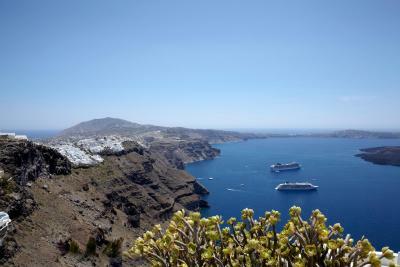 I’m very happy we didn’t stay in Oia which was to crowded for us. This property has an amazing layout that provides privacy with a perfect view in every direction and the best pool we saw on the island. The staff couldn’t have been nicer. They are more than willing to help with recommendations, reservations, transfers, and anything else you need. I can’t wait to stay there again! Most beautiful place I have ever stayed. View is unbeatable and aesthetic of the hotel is incredible. 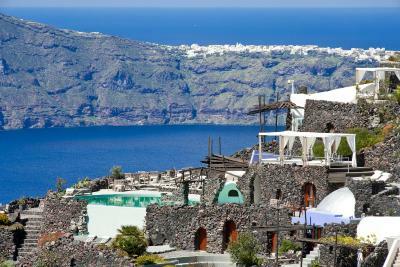 A stunning view of the Santorini Caldera and sunsets provides a beautiful backdrop to the picture perfect resort. The concierge made excellent restaurant recommendations. Overall amazing place. 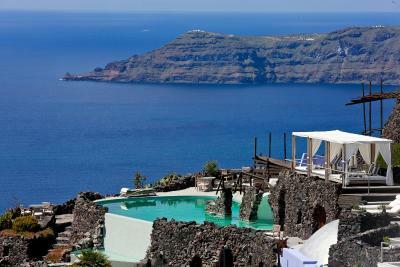 The hotel has one of the most beautiful views in Imerovigli and probably one of the best in all Santorini. I strongly recommend a superior room with a sea view. Just waking up to that huge window and brilliantly well lit room made our trip. The welcoming pack (fruit and wine) and regular top up of drinking water were a very nice touch. 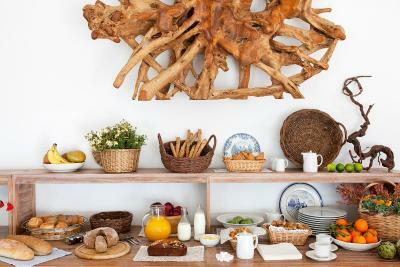 Breakfast was beyond delicious and quite varied, with the only fault that it is served rather late (starting later than 8, which is a tad late for the Santorini summer sun). The bed was simply bliss, and a big thank you for all the beautiful towel decorations and flowers every day. 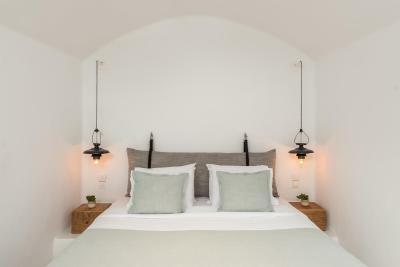 Honeymoon Petra Villas This rating is a reflection of how the property compares to the industry standard when it comes to price, facilities and services available. It's based on a self-evaluation by the property. Use this rating to help choose your stay! 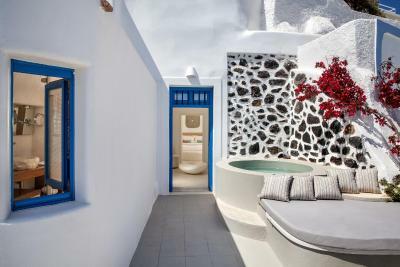 Tucked into the rock with commanding views of Santorini archipelago, Petra Villas offers traditionally white-plastered rooms and apartments with free Wi-Fi. 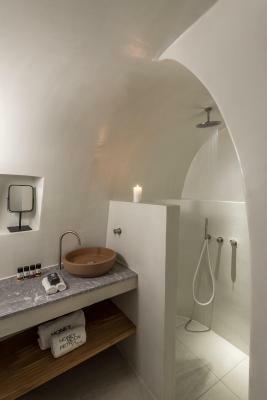 It features a rooftop pool and jetted tub with Aegean Sea views. 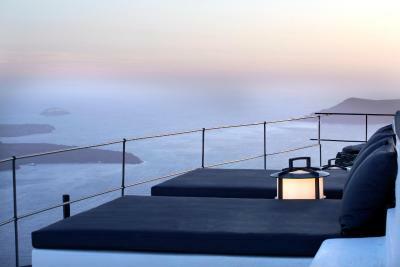 This luxurious hotel on the edge of Imerovigli town offers guests the opportunity to take trips with its private sailing yachts and speed boat. Guests can explore the island with the private shuttle bus. 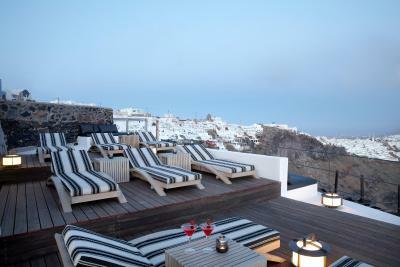 All air-conditioned units feature balconies with panoramic views of the volcanic Santorini Bay. 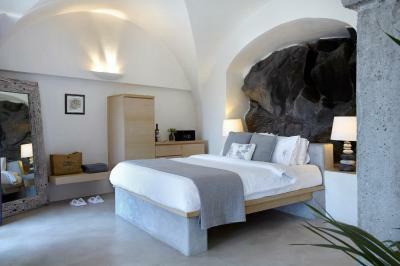 Some rooms are hewn out of the rock, providing them with a natural ambiance. A satellite flat-screen TV and CD-player are available. The Petra hotel offers a steam bath, outdoor hot tub, pool and piano bar, BBQ facilities and private lounge mattresses on the property’s rooftop with breathtaking views. The rooftop pool is partly hewn out of the volcanic rock. 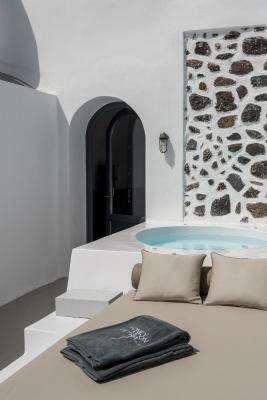 The Petra Villas is closely located to the ancient fortress of Skaros and 6.2 mi from Santorini International Airport. 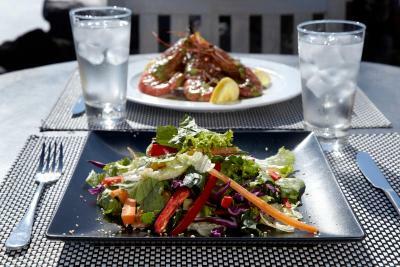 The property can make arrangements for yacht rental. while free on-site parking is available. 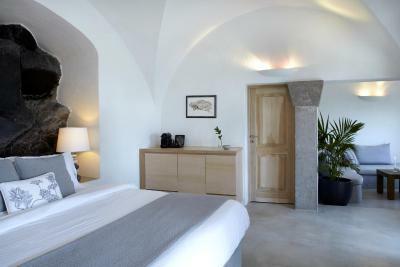 When would you like to stay at Honeymoon Petra Villas? 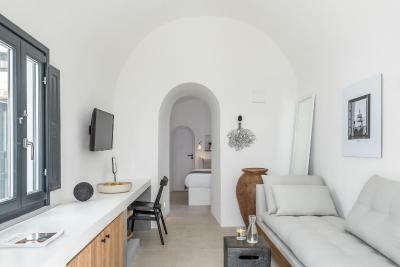 The superior rooms are decorated in modern style consist of Caldera views, an open-plan room with sleeping and seating area and a uniquely designed bathroom with shower. Daily maid service is available. 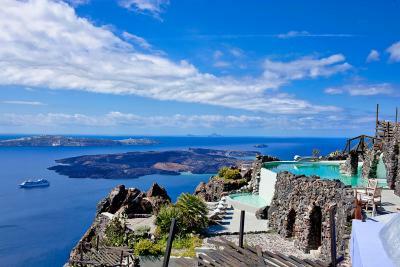 Offering Caldera views, these uniquely decorated suites consist of one double bedroom, spacious living area with a sofa, a uniquely designed bathroom and indoor hot tub. Daily maid service is available. 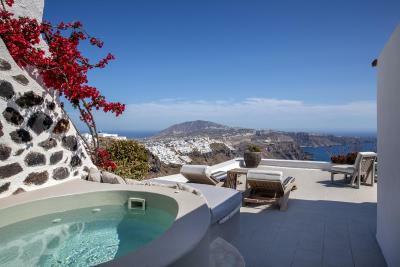 Offering Caldera views, these uniquely decorated suites consist of one master bedroom with indoor jetted tub and an private bathroom, one extra double bedroom and a guest bathroom with shower. Daily maid service is available. 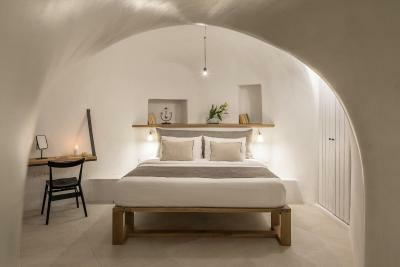 These cave-style studios, dressed with black volcanic stone, consisting of Caldera Views, an open-plan room with sleeping and seating area and a uniquely designed bathroom. Daily maid service is available. 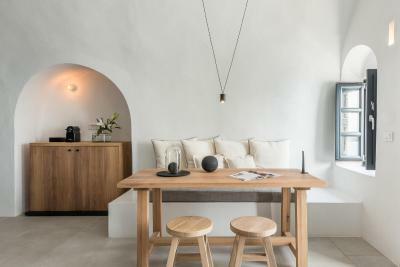 Apartment consists of one bedroom, a living area with sofa, a bathroom with shower and a terrace overlooking the Aegean Sea, the Caldera and the volcano. Daily maid service is available. 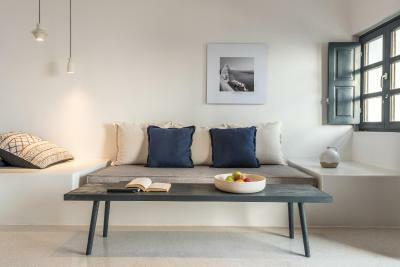 Overlooking the Aegean Sea and the Caldera, this spacious apartment consists of a bedroom with queen size bed on the loft, and a living area with double sofa bed. Daily maid service is available. 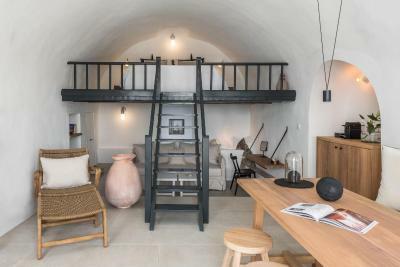 Overlooking the Aegean Sea and the Caldera from its balcony, this traditional cave house has a sofa, seating area and air conditioning. Daily maid service is available. 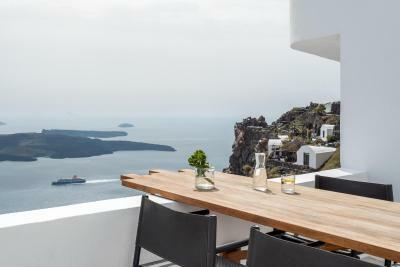 Overlooking the Aegean Sea and the Caldera from its private balcony, this suite features seating area and air conditioning. 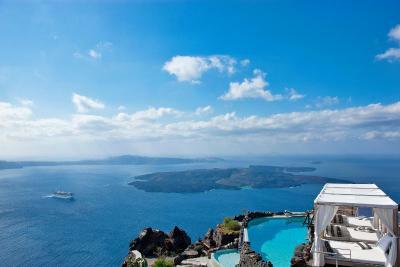 Overlooking the Aegean Sea, the Caldera and the Volcano from its private terrace or balcony, this apartment has a CD player and bathrobe. 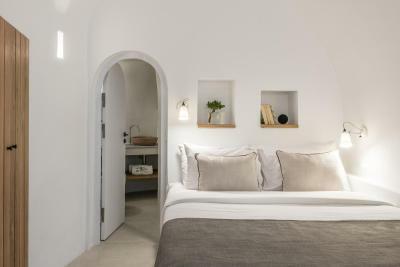 Overlooking the Aegean Sea and the Volcano from its private terrace or balcony, this traditionally decorated studio has an open-plan seating and bedroom area, and a bathroom with shower. 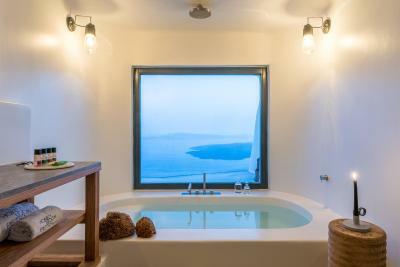 Overlooking the Aegean Sea and the Caldera from its private balcony, this suite comes with a separate living room, a bedroom and an Infinity plunge pool. This special offer includes a 3-day sailing tour to 10 different islands, on-board meals and free drinks. 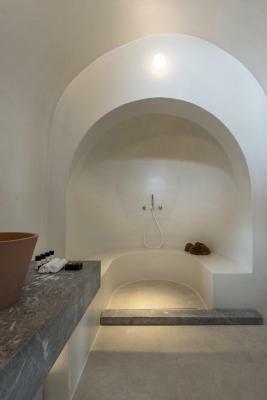 Opening to a private balcony overlooking the Aegean Sea, the Caldera and the Volcano, this villa consists of 3 levels and has a spacious seating area, a bedroom and a bathroom with bathtub. 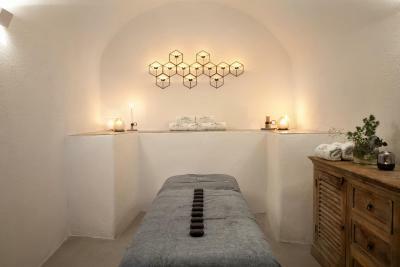 House Rules Honeymoon Petra Villas takes special requests – add in the next step! 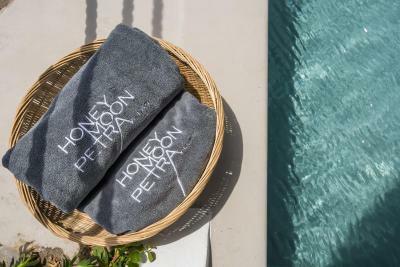 Honeymoon Petra Villas accepts these cards and reserves the right to temporarily hold an amount prior to arrival. 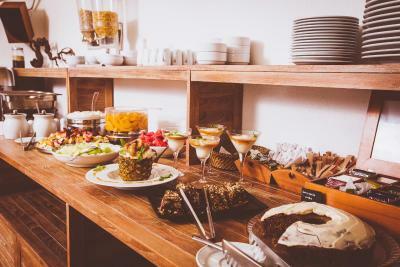 Please note that a buffet breakfast is available at Honeymoon Petra Villas. Kindly note that children below 14 years old cannot be accommodated due to safety reasons. 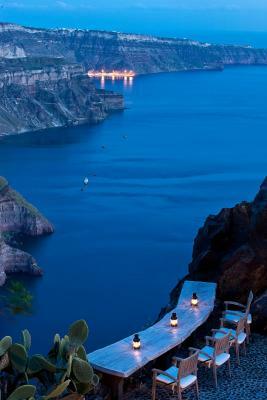 Please inform Honeymoon Petra Villas of your expected arrival time in advance. You can use the Special Requests box when booking, or contact the property directly using the contact details in your confirmation. We could stay more !! Some of the reception staff are not very nice - however elsewhere they were all very friendly. 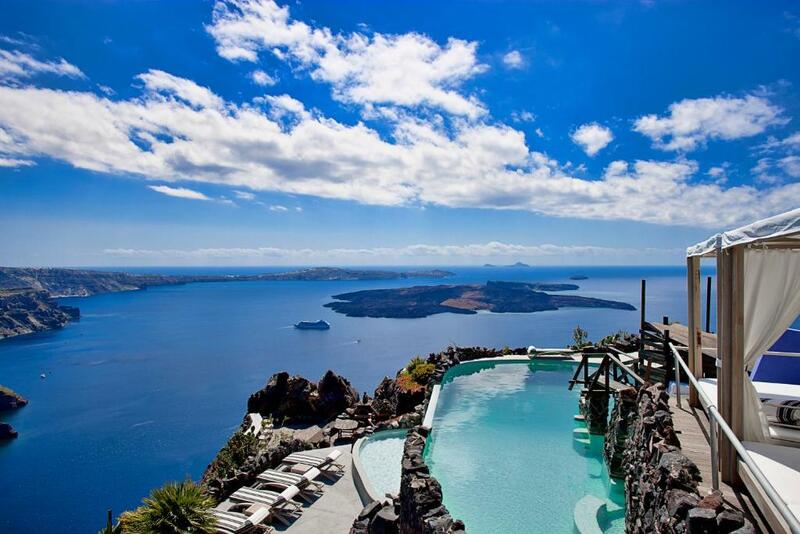 A view like no other - amazing location on the caldera. Absolutely charming rooms and the pool area is really lovely too. The room look old. A lot of dust and Cobwebs on the table front of the TV. The plug pool is broken, the warm temperature in the plug pool just working for the thirds day we stayed and the Barth and the window pretty dirty and have some water stain on. The Barth cork is stuck. A lot of thing broken. The lunch/dinner options are very limited. And sometimes the choice of music at the pool is strange. I was expecting more Cafe Del Mar music and not so much Spanish Pop. Nothing. 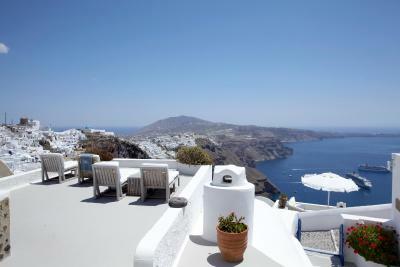 If I have to choose it is a 15-20 min walk to Fira and a 20 mins drive to Oia. 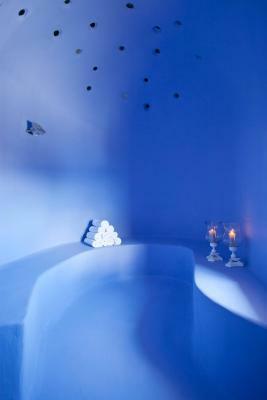 But for the serenity of Imerovigli it is worth it! Vicky the Concierge and Maria were so amazing and very helpful! This was hands down the best experiences of or lives. 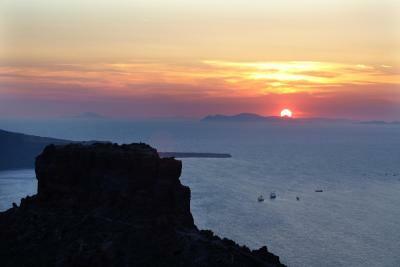 The location was great because Fira is about 10 minutes walking and Oia was 15 minutes by ATV. 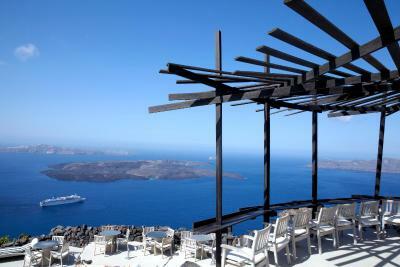 This location is key because you get an amazing view but less of the crown in Oia and Fira. Highly reccomended. Seemed like you were being nickeled and dimed for everything. They have insufficient lounge chairs around the pool, but you can use one of the four special sunning beds for $50/day. Also we were at the old port when the hotel bus showed up to pick people up from a cruise; we asked to get a ride back and they wanted to charge us the $30 for the ride back; we took a taxi. All transports were $30, versus free at all the other hotels we stayed at. Lastly dinner was ok, not great. Our bathroom was quite small for 4 people to use and when you showered the water leaked all over. 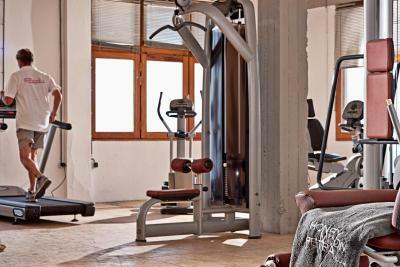 The staff is extremely helpful and friendly, beyond expectation. 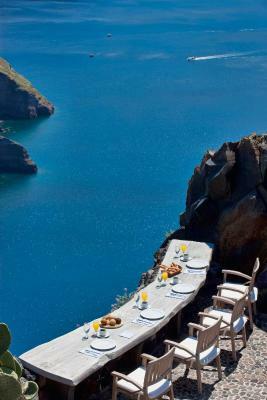 The view is absolutely breathtaking, perfect location on the edge. The room really lovely. Perfect place for honeymoon. What can we say? 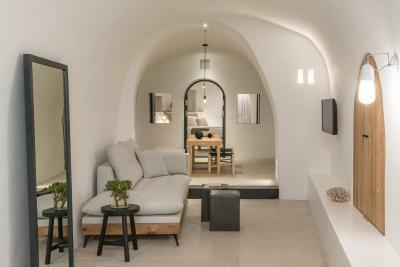 Revisiting Santorini after 20 years for our 2nd honeymoon was an amazing experience and Honeymoon Petra Villas had a lot to do with it! 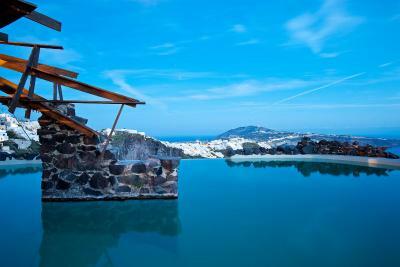 Amazing setup, breadth-taking view of the whole island including the sunset, unique hotel built with volcanic stone, fantastic pool and excellent service! Many thanks and greetings to the whole staff and especially to Katerina, Maria and of course Vicky!!! Thank you all so much, highly recommended!! !